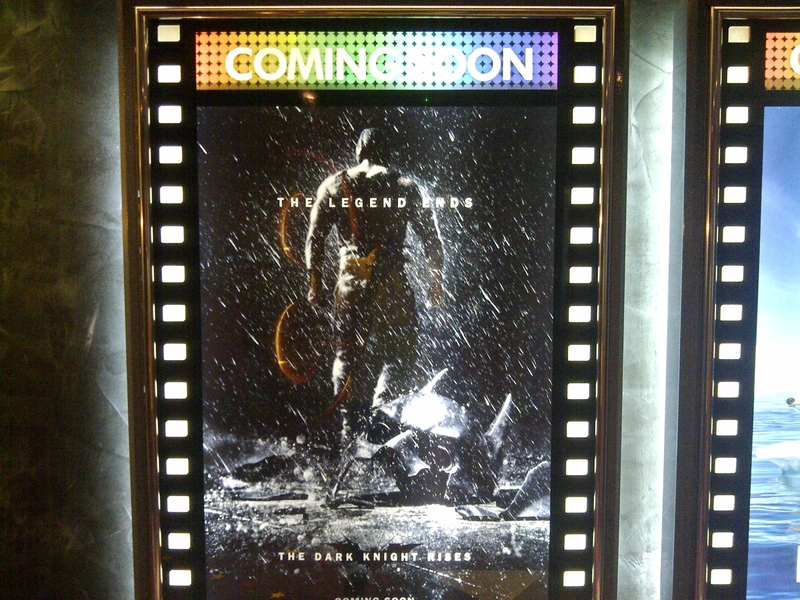 THE DARK Knight Rises, the movie, is yet to hit cinemas this coming July 2012. But the real Dark Knight in my life, my best friend Batman, has risen above all others in his latest endeavor in life. 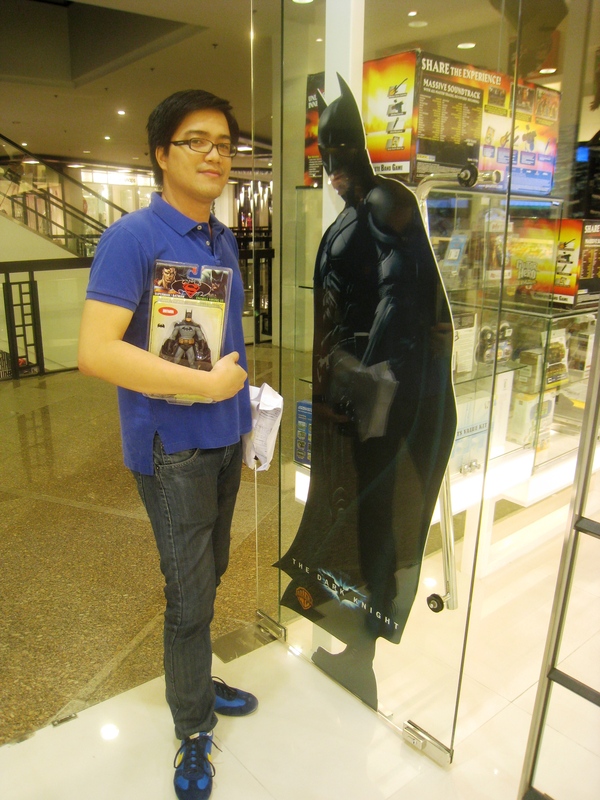 The Dark Knight and I, somewhere in Greenbelt 5! 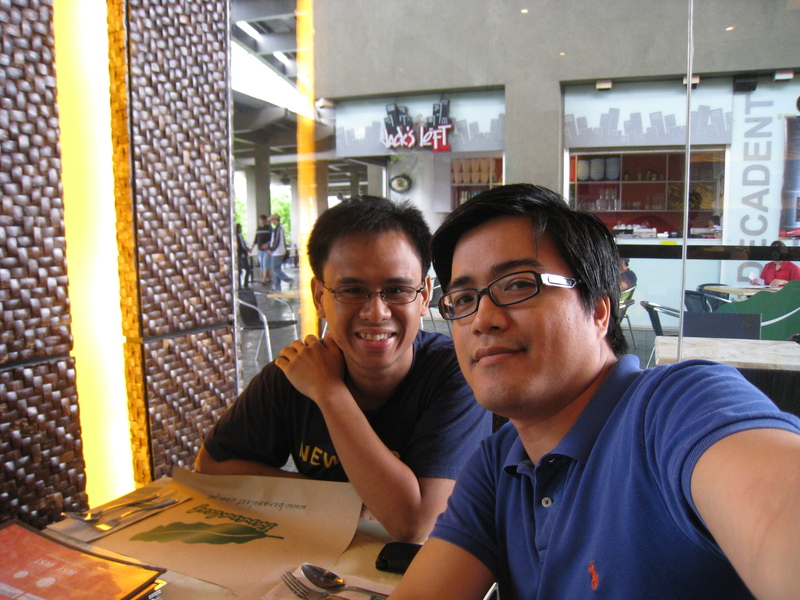 He just finished his Masters in Business Administration (MBA) at the University of the Philippines Diliman, arguably my country’s foremost educational institution. He graduated with a general grade point average of 1.1548! As a student I’m used to getting “flat ones” – grades of “1.00” – myself, but that kind of average is just beyond my wildest dreams. I graduated at the top of my class. But not with that kind of grade. What is more remarkable to me is that he did this while keeping a full-time job, and at a time when he welcomed his and his wife’s first bundle of joy into their lives. How he juggled all of those aspects of his life, I really couldn’t imagine. Some say you can’t have it all. But I guess, in Batman’s case, you can almost. He does almost have it all – if not already. Congratulations, best friend. I’m so proud of you! 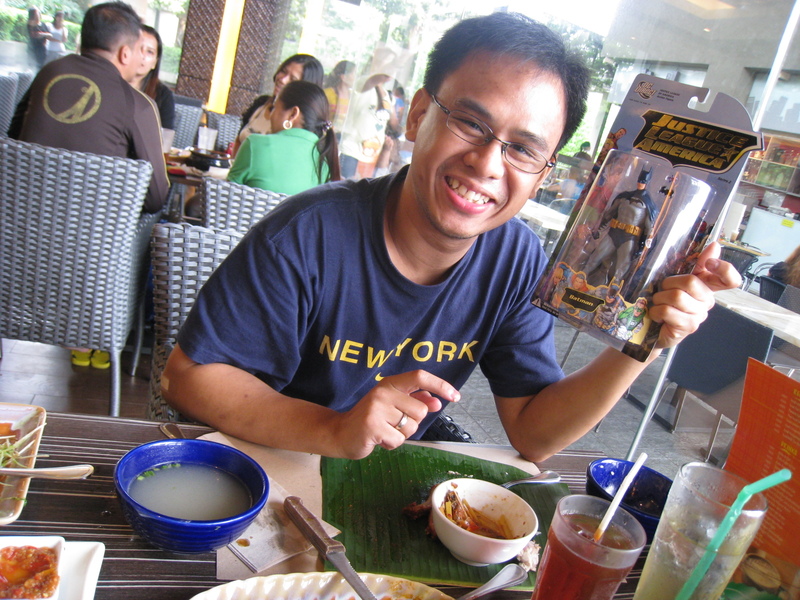 One of my send-off lunches before coming to Singapore was with Batman. 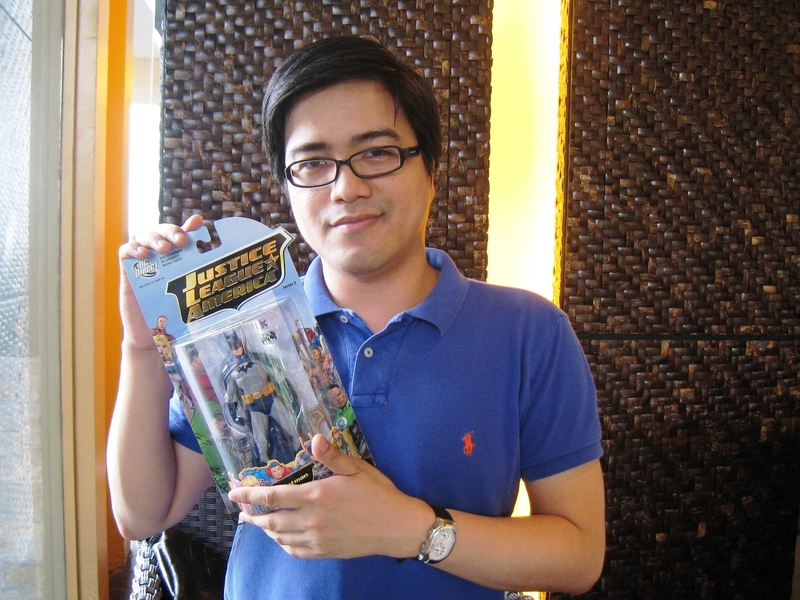 He presented me with yet another one of the toys from his personal collection. This one was specifically tasked to watch over me in the Lion City. Haha! 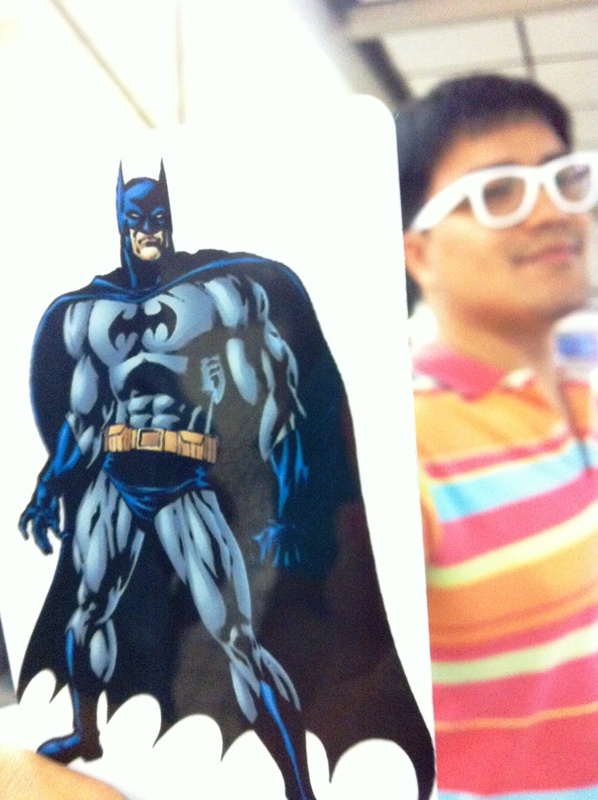 eNTeNG and Batman. For the record, that’s my happy face. Hahaha! See, he was already doing what he was tasked to do. Watch over me! Haha! "I shall guard this with my life. The lone piece in all of Makati!" “IN A hurry?” I could hear the lady I just passed speak under her breath, her comment punctuated by a toss of her hair that shook her navy blue Le Pliage by Longchamp medium handbag with prints of the Eiffel Tower. I didn’t mind at all because I was, clearly, in a hurry and that I was dashing through the escalator, on the right side and not left. I thought that was understood – the right side is for those in a hurry. That was when it occurred to me. “You’re no longer in Singapore eNTeNG,” my conscience told me, “and this is not Dhoby Ghaut interchange. Did you even hear ‘Berhati-hati di ruang platform? !’” It was just the day after I had arrived and quite obviously, I hadn’t shaken the lion city out of my system. 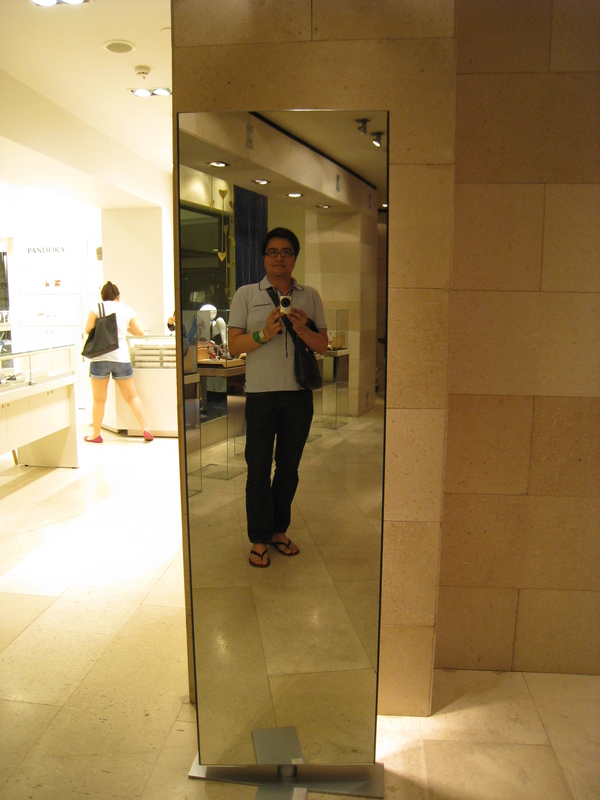 Besides, the first world trappings of Greenbelt 5 sure reminded me of where I just was. 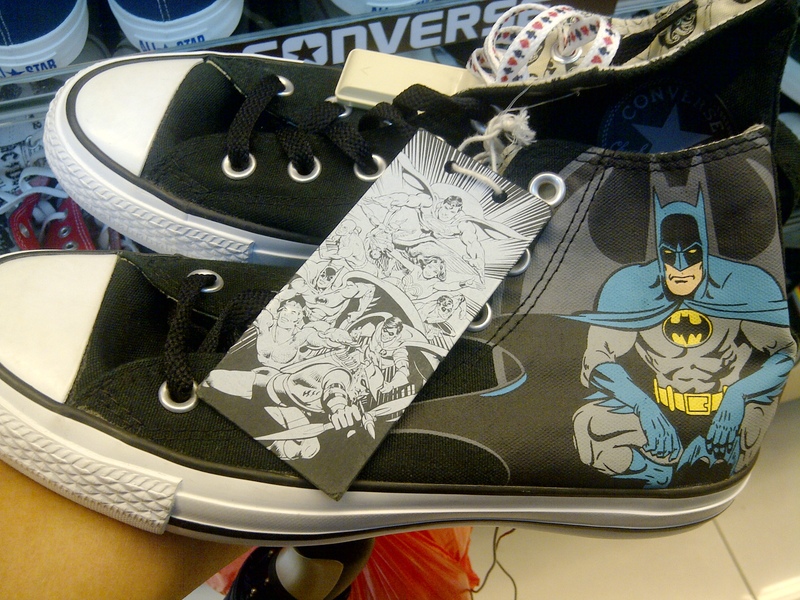 I had been to four stores that had the item I wanted already sold out. They said that a lot of people had actually been looking for it and they had the waitlist to show for this claim. I wrote my name on a couple. It was almost 7:00 PM – and I know wristwatch stores close earlier than mall time – so I was really down on my luck. 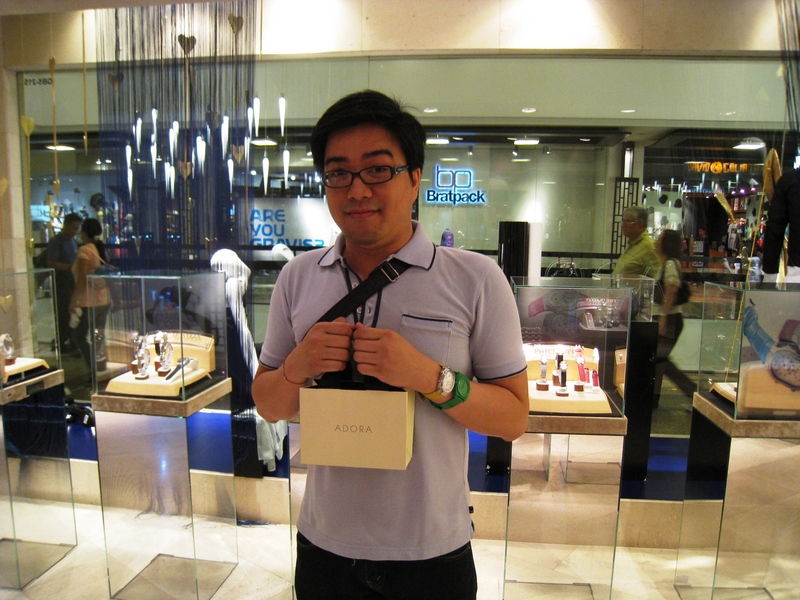 That was when I remembered about Adora, the luxurious department store in Greenbelt 5! “Good evening,“ I breezed through the door, straight to the wristwatch section, a sales associate barely being able to catch his breath and respond to my greeting. I stood in front of a vitrine that houses Philip Stein wristwatches and calmly said, “I need a Signature Large Black Rubber Strap.” I enunciated my words well, knowing that should I fail miserably on this fifth attempt, I at least made a good impression with the sales person. “I believe we have it in stock, Sir. One piece. The only one.” I launched with my monologue on how frustrated I already was looking for it and being told, “sold out” four times in a row – on one night. By the next couple of days, this coveted item was well on its way to being delivered in person to Green Lantern, courtesy of two of my closest friends, Darryl and Brenda. 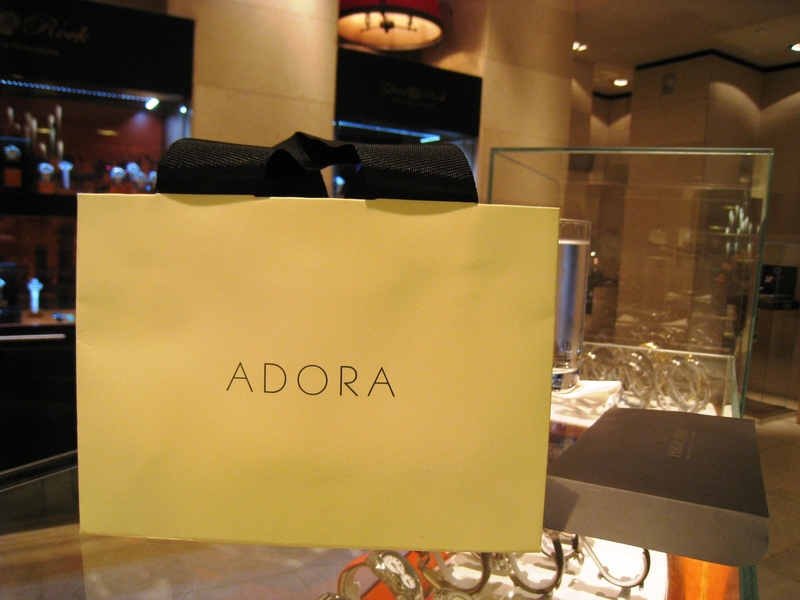 Adora is the ultimate in luxury shopping! I bought only a wristwatch strap but the treatment I got was as if I bought an actual wristwatch. The sales associate who attended to me even offered me a drink. Ice-cold water was perfect! 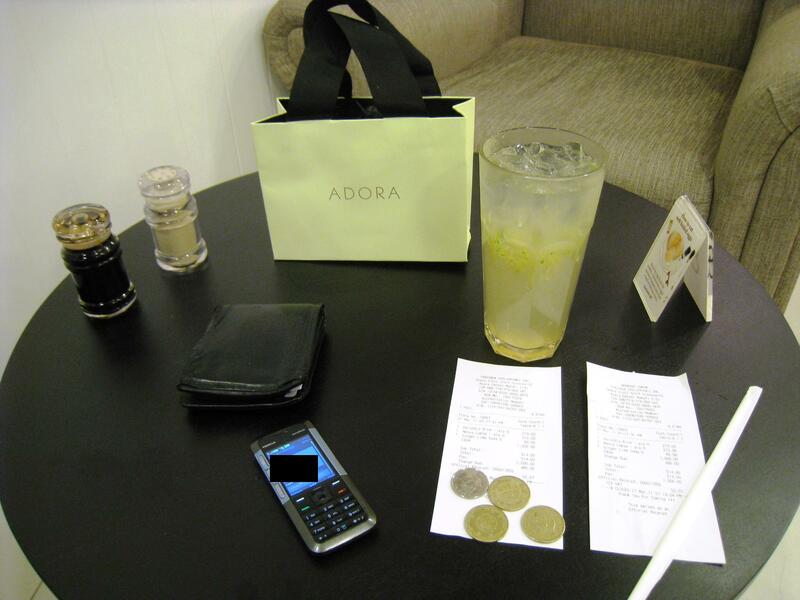 Adora occupies such an expanse that it does feel like the ultimate in luxury shopping. 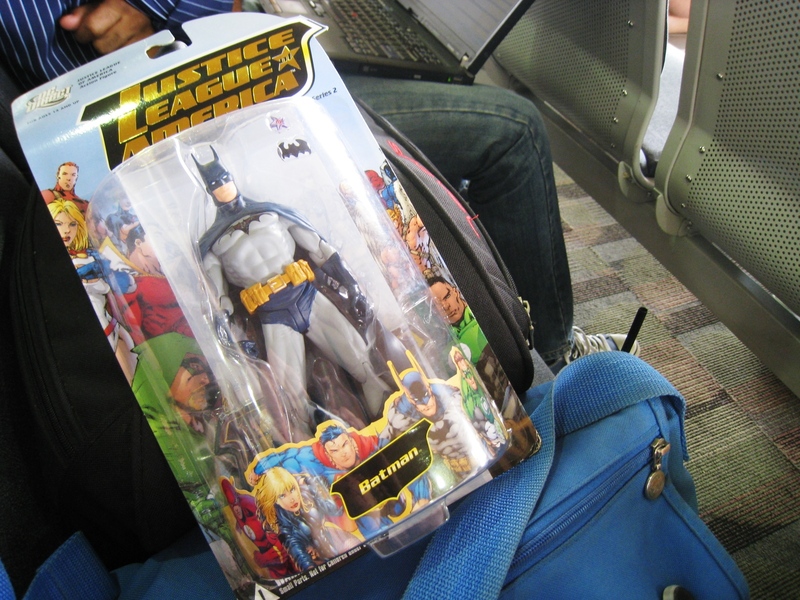 With this purchase, I had Green Lantern enroled in Adora's rewards / membership program. Dinner is the reward for a task accomplished! Five stores and a successful find at the last one, I was done and ready to munch at 7:20 PM! 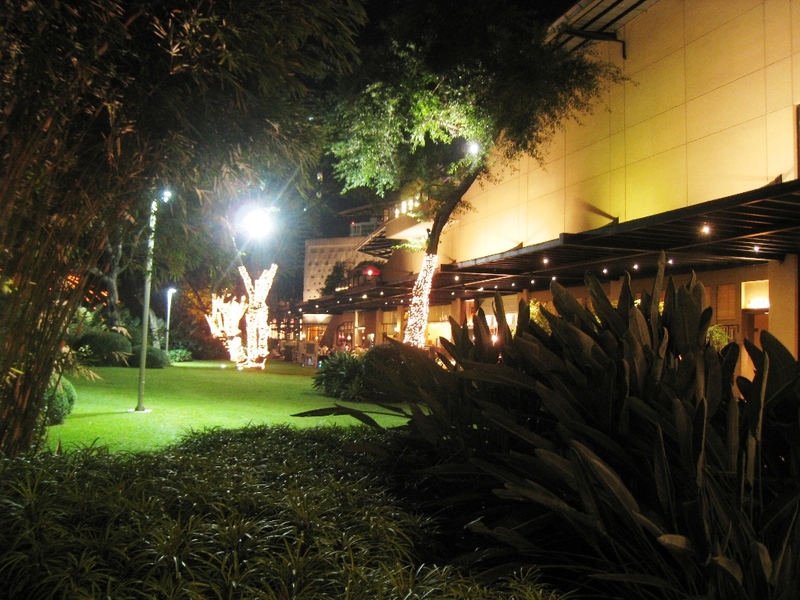 Somewhere in Greenbelt 5, evening of 07 January 2010. Though I’ve never had any problem asserting my independence – even quite unapologetic whenever I spew out my one-liner, “table for one, please” – for the first time I had become aware of the fact that I was indeed alone. Single. Solitary. Solo. Unattached. Uncommitted. And passing by one sales associate painstakingly removing the stubborn foil snowflake stickers on their window display just further reminded me that the happiest of seasons had surely passed and it was already time to take down the holiday trimmings. And it seemed sad. Thought bubbles popped atop my head as I took the sight in. How I wished I were with someone to share my thoughts with. Nobody was beside me to nudge when I had to point out that the mall had still kept the giant white Christmas tree and the French sofa beside it. Trust Ms. Kris Aquino to dole out snippets of wisdom be it from her P.O.V. desk as she opines on showbiz matters of national interest; or as she sashays towards her perfect blocking on SNN. I credit her for categorically stating that in life, one can only be so lucky with one of two – career or (love)life. But hardly ever both. Even one really close friend who had his birthday recently claimed the same. I pondered on this thought further as I went to Zara, the first store on my list of post-holiday S-A-L-E events I have decided to go to. (Zara’s sale started yesterday, January 7th). But the conflicting thoughts in my head heavily interfered with calculations on the cost-per-wear mileage a gray coat would give me. So I replaced it on the rack. I looked at the unforgiving bright lighting fixtures on the ceiling, noticed that the air conditioning was terrible, and right beside the “795-pesos-a-piece” table, I accepted I was alone. I left. Yes, alone. But not sad. The will to be happy is just something I will not compromise. 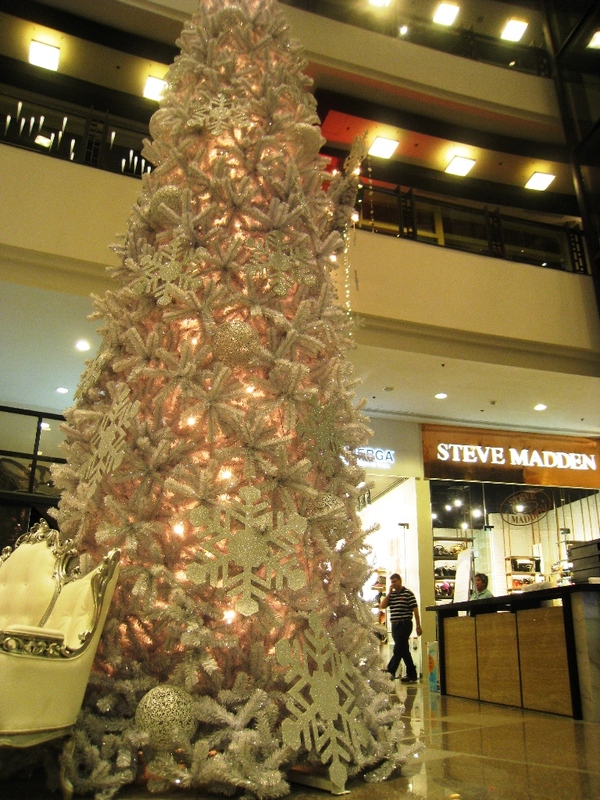 White Christmas tree, Greenbelt 5, 2009. White Christmas tree, Greenbelt 5, 2008. 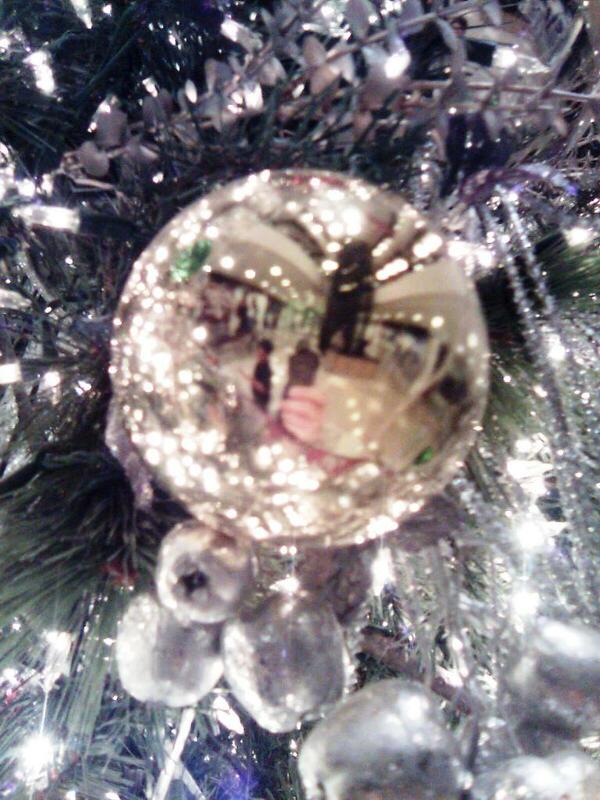 Can you see Batman and me in the Christmas ball? 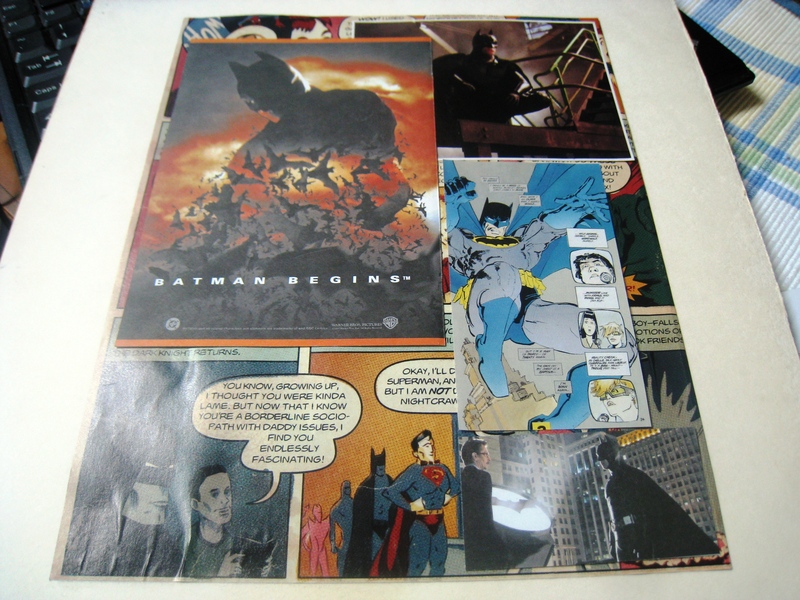 I DIDN’T forget Batman when I made a post on Christmas trees, here. I actually intended to post a separate entry for him. I associate the Caped Crusader with white Christmas trees. At Greenbelt 5 last year, we totally loved the silvery white trees. This year, they put up really tall all-white trees, accented with giant snowflakes and glitters all over. It doesn’t hurt that they put a white three-seater French sofa right in front of it. Perfect for cam-whoring. ROYCE’ CHOCOLATES remind me that there need not be a special occasion to give someone special something special. Yes, it’s true that there are so many reasons in this world to give gifts – but I have to say that the best is to give gifts for no reason at all. 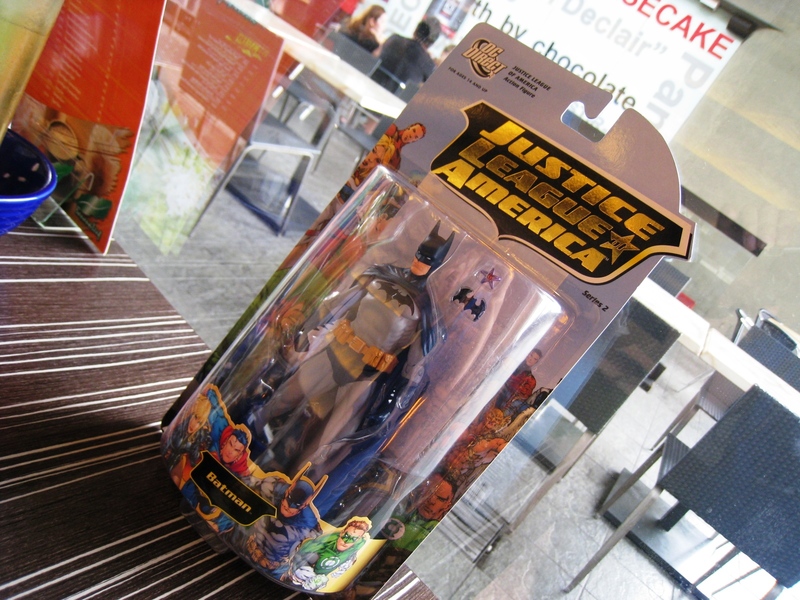 Royce' Chocolate gift bags for a favorite Superhero! And for one of my best Superhero friends – a chocolate lover at that – I couldn’t help but get some of the best Royce’ Chocolate varieties ever. These are the ones that I myself really adore… and devour! Hahaha! 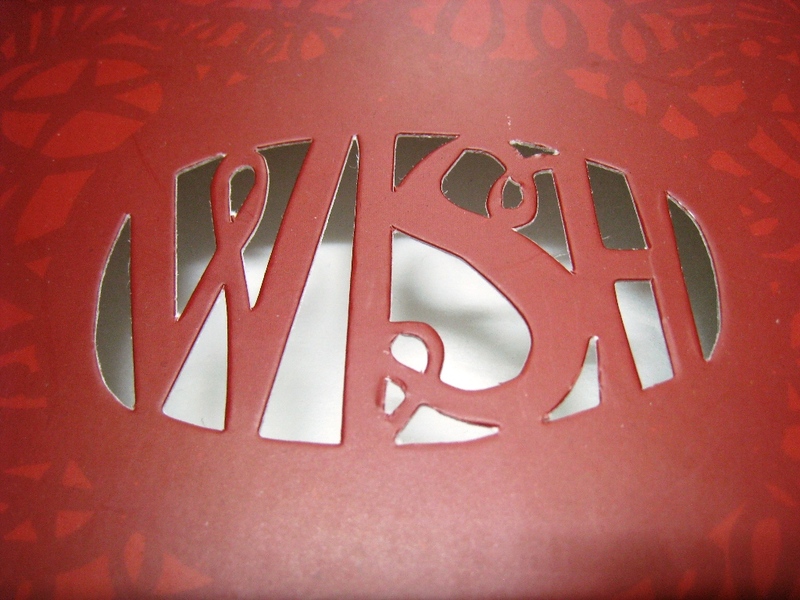 A peek into one of the gift bags revealed the Royce' Milk Chocolate Bar! As the ones I’m sharing here were gifts, I didn’t get to take snapshots of the actual chocolates. But the packaging are too pretty to not take photographs of. So, here they are! The Royce' Nama Chocolate in Champagne "Pierre Mignon"
I’ve long raved about the unparalleled pleasure the touch, feel and taste of nama chocolates give. Not to mention the teasing, lingering chocolate notes that they leave on the tongue. But I have to categorically declare here just how unprepared I was for Nama Chocolate in banana, their latest seasonal offering at their Greenbelt 5 kiosk, coming at the heels of strawberry about a couple of weeks back. After savoring my first block of this generously cocoa powder-dusted confection, the skeptic in me recoiled at the thought that I had unwittingly deprived myself with so much pleasure all the time I cringed at the idea of throwing bananas and chocolate together in the blender for a refreshing smoothie snack! Unfortunately, I don’t have shots of my other favorites – the Nama Chocolate in Strawberry (seasonal), “Bitter,” and “Au Lait,” and the Rum Raisin Chocolate Bar. Aren't they the prettiest?... Yet another shot of the Nama Chocolates! KATE & LEOPOLD, this Meg Ryan-Hugh Jackman starrer I’m watching right now on free TV (Studio 23) just gave me the fitting introduction to this blog post I’ve been meaning to write. Lately, I’ve been really lazy to get a haircut. The last one I had was a week before I emceed my good friends Bom and Rizzie’s January 10, 2009 wedding. As a matter of fact, that is how it has been with me – I only get a haircut when I have something special coming. I should’ve gotten one before I emceed a very special party last April 30, but I was just so swamped at work that I didn’t have free time. Yesterday, I was feeling a bit down and on a whim, decided to get my haircut! I guess a part of me had also realized – and accepted the fact – that there’s only so much that extra-hold wax or reworkable putty can do to tame my hair. Hahaha! So I sent a text message to the Bench Fix Salon at Glorietta 4 and requested a 4:00 PM appointment with their Senior Stylist KC Aninao. I grew up getting my haircut from the friendly neighborhood barber (who’d often come to the house). But time came when I sort of outgrown the barber’s cut. That’s when I started experimenting. I’ve been to Salon de Manila (friends called the rates “highway robbery”), a number of other salons, Regine’s, and to at least three branches of Bench Fix – Alabang Town Center, Festival Mall, and Glorietta 4. It was in Glorietta 4 that I found a haircut and a hair stylist that really delivered. I went to the place at 4:00 PM on the dot, and after confirming with the front desk personnel my appointment, was led to one of the chairs, greeted by KC with a smile and the quip, “Ang haba na ng buhok mo, parang di ko na makita kung ano ang ginawa ko dyan!” (Your hair has grown, I couldn’t figure out what cut I made to it!). But of course he said that just in jest, as he had clearly known that I’ve been asking for the “Prada model” haircut for quite a while now. I tore the Prada ad from one of my GQ magazines and showed it to him the first three times I asked for the cut. Now, he no longer needed the visual guide. He was the only one who cut my hair – after the “Prada model” specs – to my satisfaction! He would cut it wet, but would ask for a salon assistant to dry it midway so that he could see the “fall” and then, finish it off with a precise dry cut. The rest of my day in Makati was spent going through inspecting a number of wristwatches I’ve been so lusting after (for quite a while now!). 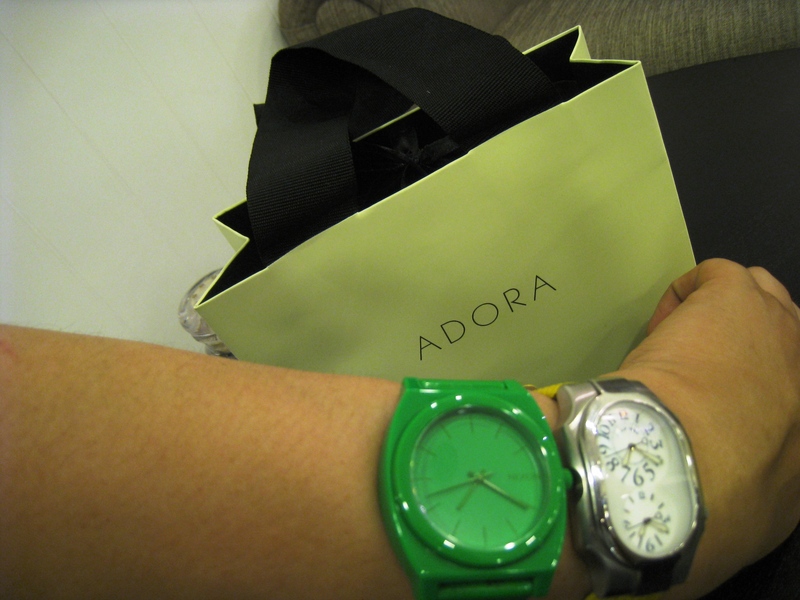 But it was not totally a selfish exercise as I was eyeing one of the wristwatches as a gift for someone special. But the tag prices were prohibitive that I really ended up just window shopping – for now! 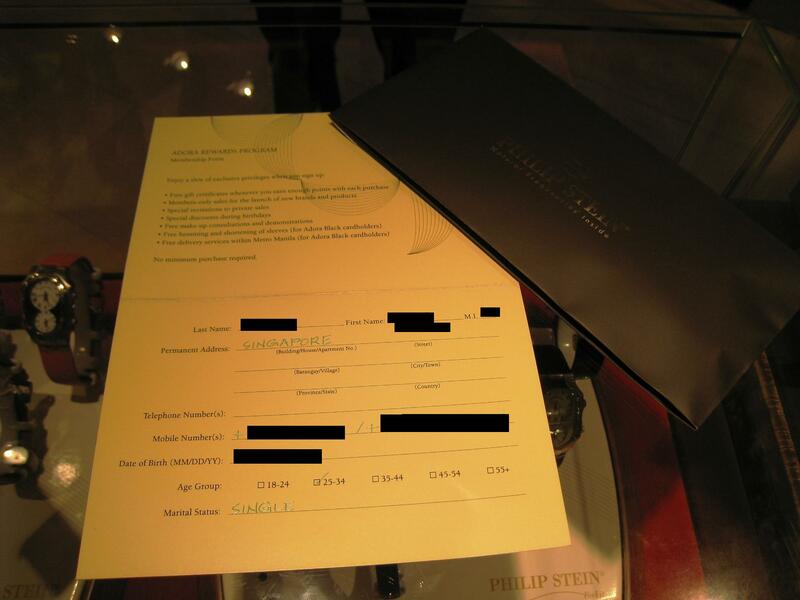 – and asking for business cards with details of the particular models that took my fancy. I’ll see if I’d lose sleep over any of them. If so, I’d be back looking at them again next week! Hahaha! All the other time not devoted to getting the haircut and going over wristwatches was spent on – what else?! – eating! At Cibo Café in Greenbelt 5 (where I made my requisite stop at the Royce’ kiosk), I had Spaghetti alla Romana, two glasses of (canned) Tomato Juice, and Chocolate Panacotta. At The Soup Kitchen in Glorietta 5, I had a full bowl of my favorite Hearty Vegetable Soup, a full Crabstick Sandwich, and a cup of Hot Chocolate. And to cap my day (already “night” time at this point), I went to Starbucks Coffee in 6750 to get one of my all-time favorite sandwiches – the Hungarian Sausage with Egg and Cheese – with a venti glass of one of their new offerings – the Dark Mocha Frappucino! My favorite - Tomato Juice! I had two of these. The Chocolate Panacotta. I'm so loving the dessert spoon! The dark mocha frappucino was perfect as it was, but having had this drink for a while now (first at their Las Piñas branch), I knew better this time to ask that they do away with the chocolate chips! What more can I ask for. It was an almost perfect day. Almost. Had Starbucks to-go to cap the day (night)! Now you know my "coffee name"! JUST WHEN I thought the Makati commercial center – the duo that is Glorietta and Greenbelt complex – has plateaud, I realize I couldn’t be any more wrong. I’ve been meaning to write down here the three things that have lately really aroused my curiosity about Makati. It’s only now that I got down to it. And surely, with a consumer like me whose curiosity has been piqued – and more importantly, whose feelings lend itself vulnerable to parting with hard-earned funds (only when it feels right!) – retailing stays alive in the midst of (drum roll please…) the recession. Right across SM (and Hotel Inter-Continental Manila) is the brand new glorietta 5. I would consider it to still be on its soft opening stage. But suffice it to say, just like the other Glorietta “installments” before it, Glorietta 5 is brimming with promise. And the fact that it is a stand-alone one, a bulding all its own, only means to me that it could take a greater liberty with its store line-up and any other offerings. The first store alone, the one to the right of the entrance I went in, is Alexis Jewelers. And through the years, I’ve had great experiences getting timepieces from this store. I roamed around the premises and I couldn’t help but feel giddy as a kid as I pointed at soon-to-open stores that have already made me swear to keep coming back. I actually went there to have my regular “Hearty Vegetable Soup” fix at The Soup Kitchen. Unfortunately, it is one of those soon-to-open stores. I think there was a show later in that day as people were busy setting up a stage and doing sound checks. Getting my fix of “HOT KRISPY KREME ORIGINAL GLAZED NOW” used to really feel like a chore. My options then were very limited. The one in MOA (such a chore to go to!). 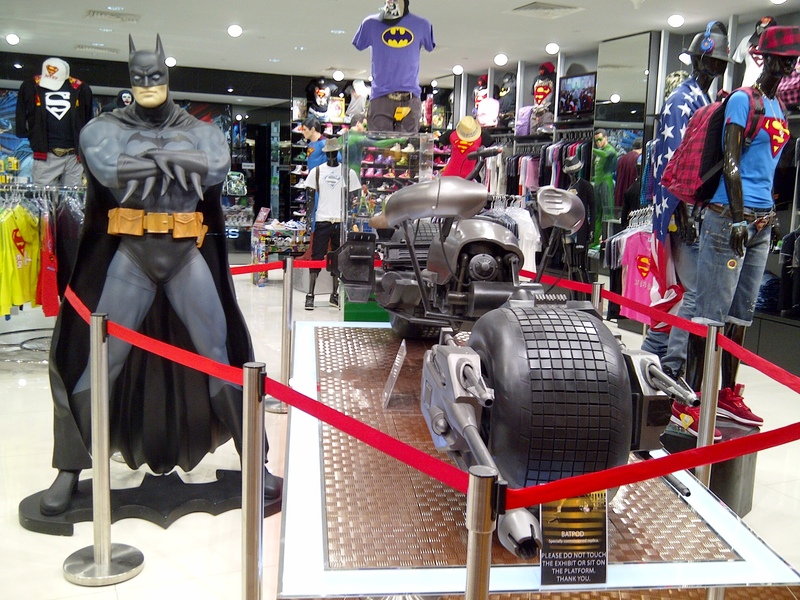 The one in Megamall (such a chore to go to!… but not when I’m meeting up with Batman!). The one at Bonifacio High Street (okay, not really a chore… but when I’m there, Cupcakes By Sonja wins!). So I had to thank my lucky stars the very first moment I noticed that KRISPY KREME DOUGHNUTS & COFFEE finally opened a branch in Glorietta 4! I was so ecstatic that I ended up hoarding boxes upon boxes. Of course I got one each for Spider-man and Superman! And rounding up my trio of new must-go-to places is – of course – ROYCE’ in Greenbelt 5! I know such chocoholics who have been rejoicing over this good – no – make that, great news! And, as I had said in a previous post, ROYCE’ chocolates will make for a really thoughtful gift to any serious foodie you know. And depending on just how important this person is, one box may not be enough! Whenever I see the Royce’ store – whenever I go there – I am always reminded of some of my closest friends. Friendship – because she was the first one to introduce me to Royce’. Partner – because she has always brought me boxes (and more boxes) of Royce’ whenever she vacations from Singapore. Spider-man – because eventhough he has cut chocolates from his diet, he is willing to allow a little room for Royce’. 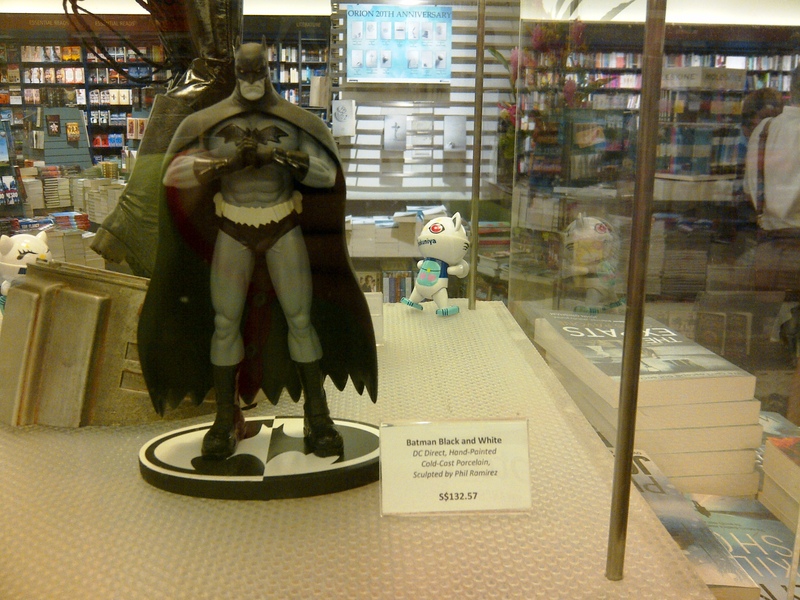 Batman – because I have been meaning to buy him some! And of course, Superman – because he is such a chocolate lover (though it doesn’t show) and is such a very appreciative person!